Steve has worked with local and interstate small and medium enterprises (SMEs), corporates, local, state and federal governments, sport, community and not-for-profit organisations. Many can’t justify the cost of hiring salaried social media and marketing staff and are looking to outsource. social media marketing management including posting, monitoring, engaging & sharing and reporting. As a certified practising marketer with an in-depth understanding of digital and social media marketing, Steve has an edge over his competitors, which he shares with his clients. He understands what works and doesn’t when it comes to social media and Facebook advertising. 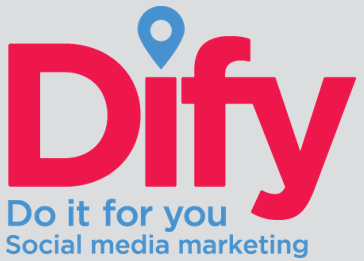 As a result, DIFY Social is well regarded within the industry. But Steve understands the importance of a business mentor who can help him with their industry knowledge, skills and experience. After a business associate referred Steve to SBMS, he chose mentor Clinton Bugg. A small business entrepreneur, Clinton uses his extensive business consulting experience to help small businesses in research, business strategy, start-up and growth planning, expense management, revenue generation and cash flow management. Steve and his wife Huong, who is also a good sounding board with her consulting and HR background, had four sessions with Clinton over a year. Clinton helped in a range of areas. Initially, with a qualified business exit strategist, Clinton advised Steve on how to most amicably part ways with a previous business partnership. The business was originally called West2East ReCreation, to reflect the Steve’s background as an experienced local government sport and recreation professional who relocated from Australia's West to East coast and became a certified practicing marketer. Moving on from the original operation involved understanding a business partner’s roles and responsibilities and accommodating their aspirations and traits, while achieving a common understanding of business objectives and aspirations. an ongoing progress status review and determination of the next steps. Clinton says the mentoring helped Steve to successfully transition from one business and start another, while retaining client relationships and service contracts. Steve developed a new business structure, strategy, plan, branding and marketing in a very competitive environment. Clinton says Steve determined and prioritised goals then implemented a 90 Day Goal Act Plan and promoted and marketed DIFY Social products and services to existing and new clients. Profitability has been maintained and is improving. “Steve has also gained the confidence to start his own business, an understanding of how to work ON the business as opposed to IN the business and a better definition of short, medium and longer term personal, family and business lifestyle aspirations,” Clinton says. 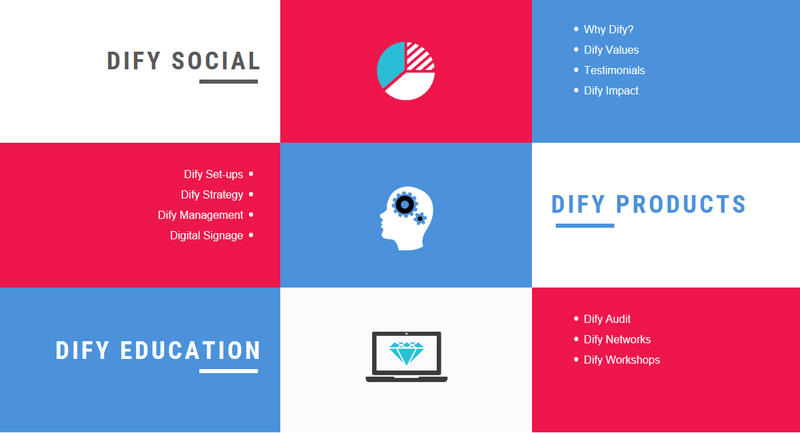 “He has improved his business strategy, objectives, goals and key performance criteria and has a better understanding of unique value propositions, the benefits of his products and services and his points of difference.